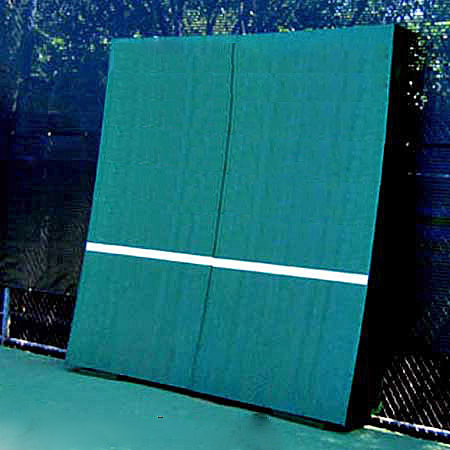 The 8' x 8' Straight-Tilt is our economical option with almost the same fantastic features of the Dual-Curved version, with the primary exceptions of the curved outside panels, and the deluxe sound reduction panels. 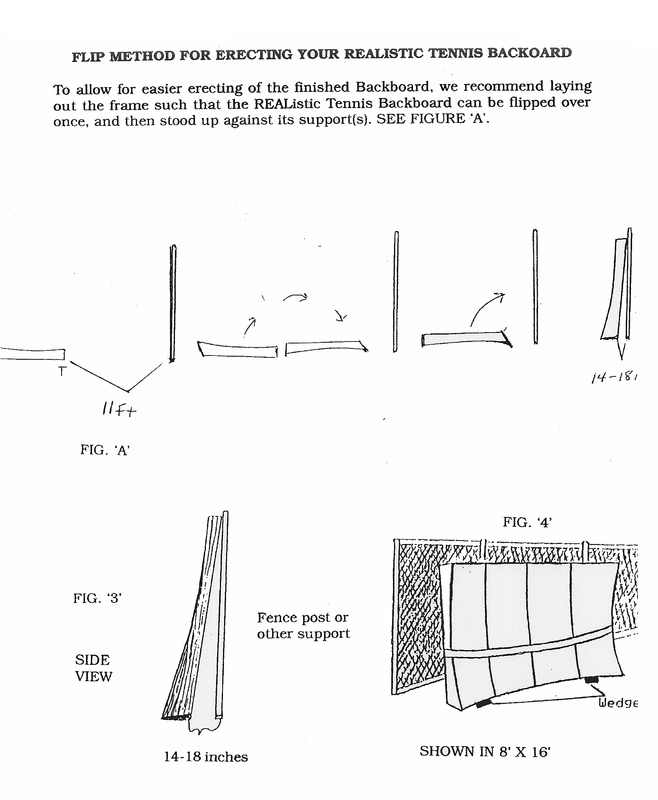 Hitting panels made of oriented strand board, with a phenolic saturated overlay, for up to 10 years of maintenance free care. 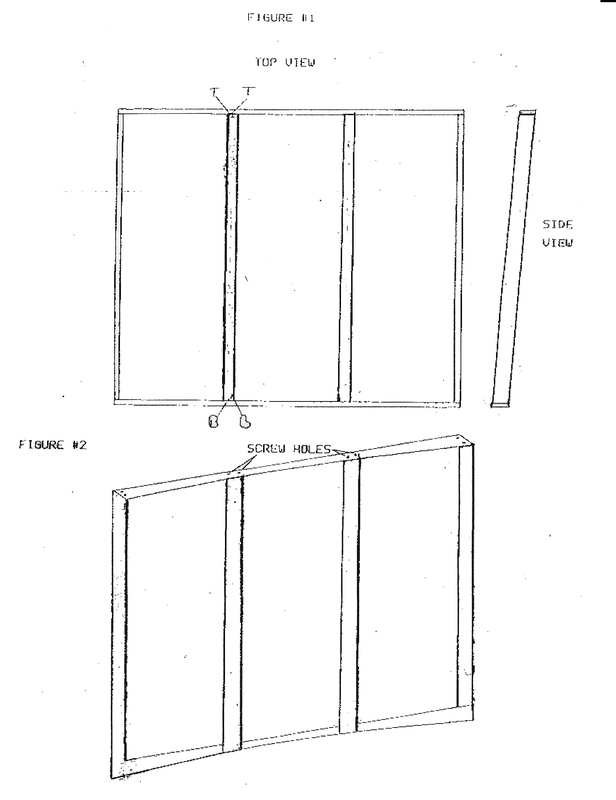 Same quality construction as our original Dual-Curved system. 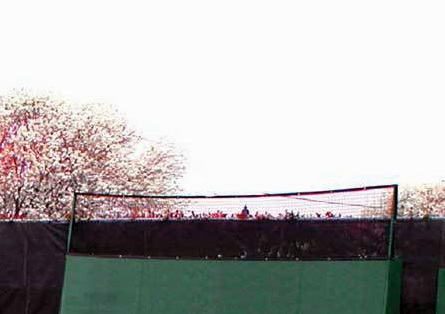 Same optional 3-foot high containment netting. Ready to be installed. 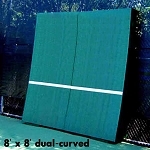 These are the only backboards with an arc enabling players to serve and volley all by themselves. 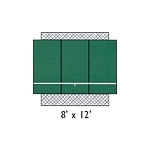 The 8' x 8' units can be installed on a driveway, using only 1/10th the space of a full-sized tennis court. 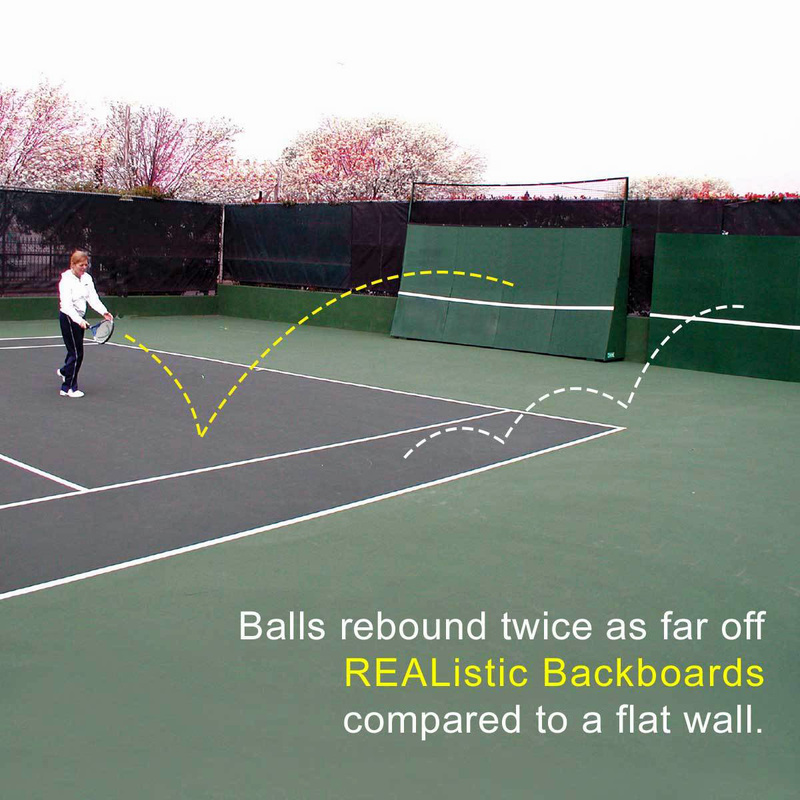 In an hour of backboard practice you can hit 1,800 balls. Compare that to 650 an hour on a ball machine or 150 during an average hour of match play.